Agartala: Tripura Finance Minister Bhanulal Saha on Monday presented a Rs 159.56 billion tax-free budget for the fiscal 2017-18 with a deficit of Rs 1.98 billion. Like previous many years, neither new taxes have been proposed nor existing taxes have been increased in the budget, presented on the second day of the month-long budget session of the state assembly. "We have planned to cover the budgetary deficit of Rs 1.98 billion by compressing non-development expenditure, stepping up of resource mobilisation, better tax enforcement and effecting austerity measures," Saha, accompanied by Principal Secretary (Finance) M. Nagaraju, told reporters later. He said that to increase salaries and pensions of the state government employees, additional amount of Rs 6 billion has been proposed in the budget. Responding to the state government employees' and pensioners' demand to give salaries and pensions at par with the central government employees, the minister said that additional amount has been allocated in the budget, now we would soon come out with a concrete decision. "Rs 100 per month has been increased for each of the 28 state government sponsored social pension schemes including state contributions to three national pension schemes. This would involve around Rs 39 crore per year and would benefit 325,000 people," he said. "The growth in budgetary estimate of the coming fiscal over the current year's (2016-17) budget estimate is 4.66 per cent." The minister said that in the proposed budget top priority has been given to education (21.23 per cent of the budgetary expenditure) followed by public works (11.51 per cent), rural development (9.96 per cent), agriculture (5.37 per cent) and health (4.85 per cent). 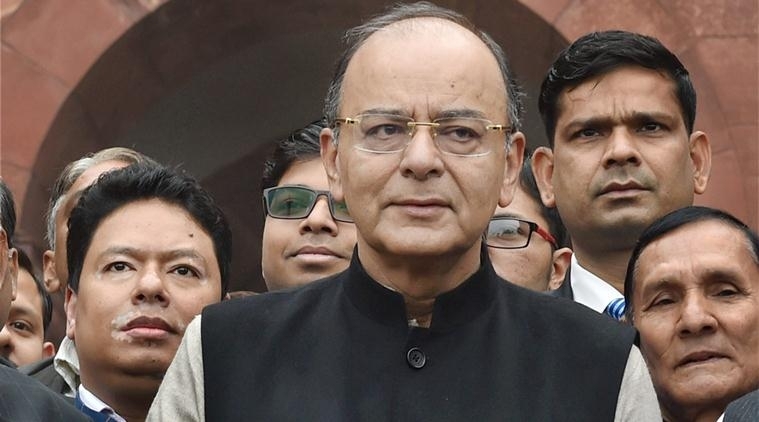 Saha said that to introduce the Goods and Services Tax (GST) from July 1, adequate training would be given to the tax officials and necessary acts and rules would be enacted after receiving model GST rules from the GST council. "The Tripura government has decided to extend the benefit of family pension to divorced daughters of the state government's pension holder employees." 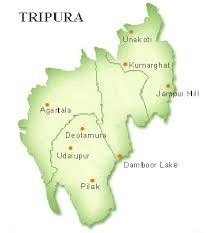 Tripura Finance Minister in his hour-long budget speech said that the infrastructure bottlenecks are the primary barriers in the development of the northeastern states. "No additional funds have been provided in the central budget for the development of the infrastructure of the region," he said and urged the central government to allot proper funding to take care of the requirement under state specific development needs and revenue deficit.